COOLDO Vertical pit type resistance heat treatment furnace is cycle production furnace. We have the RJ series and RQ series. The vacuum gas nitride heating furnace used for heating treatment the metal parts not only can in natural atmosphere but also can in protective atmosphere. 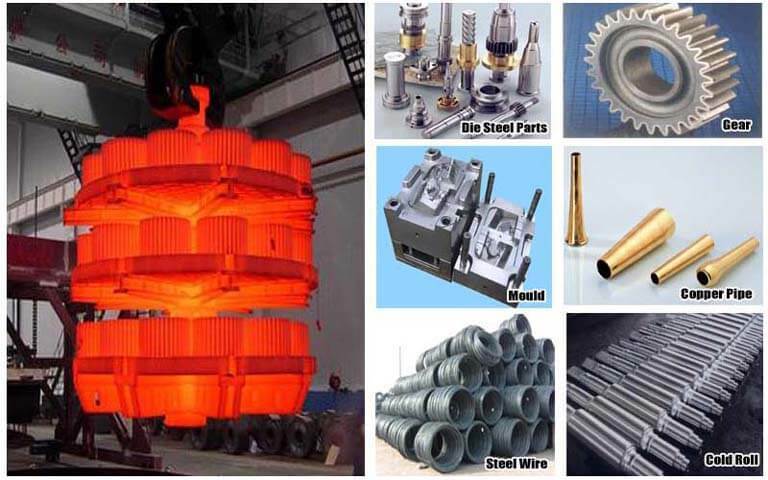 and The electric resistance furnaces are mainly service for bright annealing and tempering various kinds of standard parts , carbon steel, alloy steel parts and magnetic materials, bright annealing of small batch of scrolling strips. 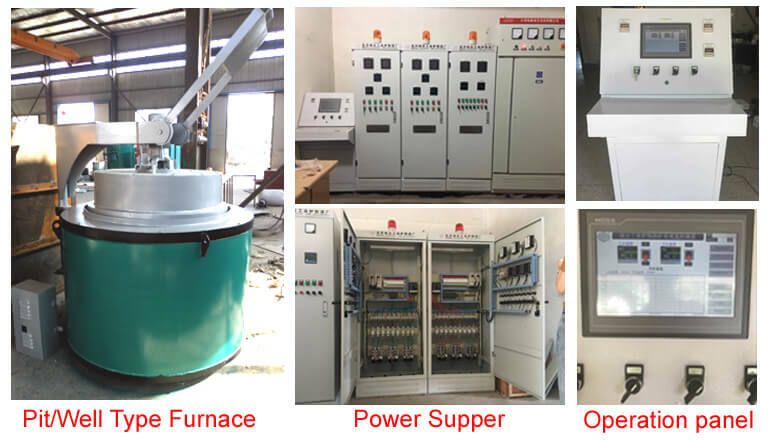 Almost well type vacuum annealing furnace are round type and installed in the pit for easy loading and un-loading the goods, which consist of furnace body, cover, heating element, loading basket, and temperature control system. 2), Inside of furnace cover: made by stainless steel plate. 4), Aluminum silicate fiber at between burner liner and shell, and also fill full of thermo-insulating power in gap. 5), Resistance wire: Adopt the 0Gr27AL7MO2 high resistor alloy wire installed upon brick. 6), Furnace cover: Adopt the manual lever lifter or motor-driven or hydraulic. 8), Limit switch: Installed near the furnace cover for safety operation. Gas nitriding heat treatment furnace: Vacuum ovens for metal nitriding heat treatment for Aluminum dies, steel die. 2), Adopt the energy-saving furnace lining which can make fast temperature rising but saving more than 20% of energy compare with old product. 3), Large fan installed and multiple heating zone controling for improving the temperature uniformity. 4), The control system can be equipped with normal control instrument or instrument with micro-processor program control according to actual need. 6), Each product is installed with safety interlock and over-temperature device to provide reliable and safe operation and use.